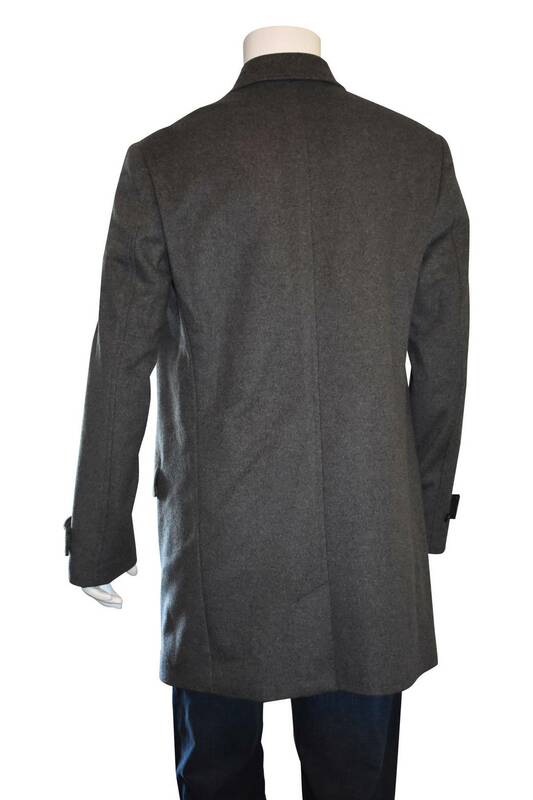 Steven Alan charcoal gray coat with hidden front button closure. Slanted welt pockets to either side of chest and flap pockets. Button detail at cuffs. Inside wallet pocket. Fully lined. 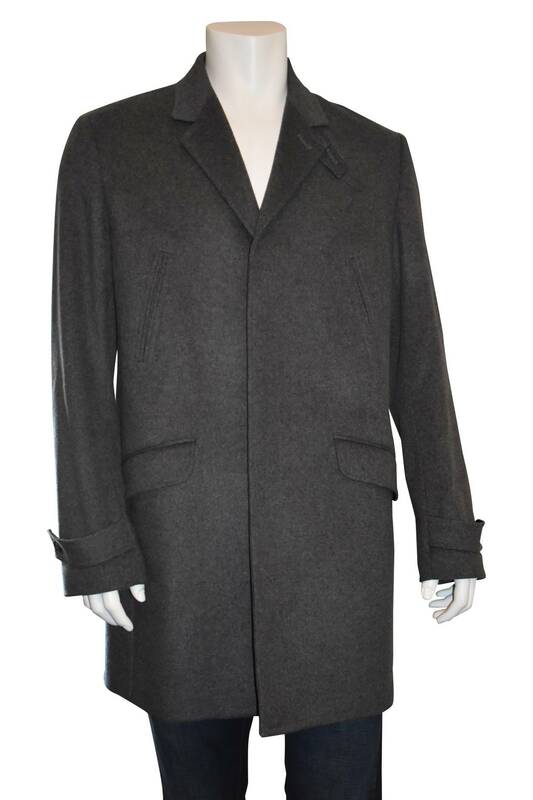 Fabric Content: 80% wool, 15% polyamide, 5% cashmere. 58%, polyester, 42% viscose.